Robert, you have everything squared away. 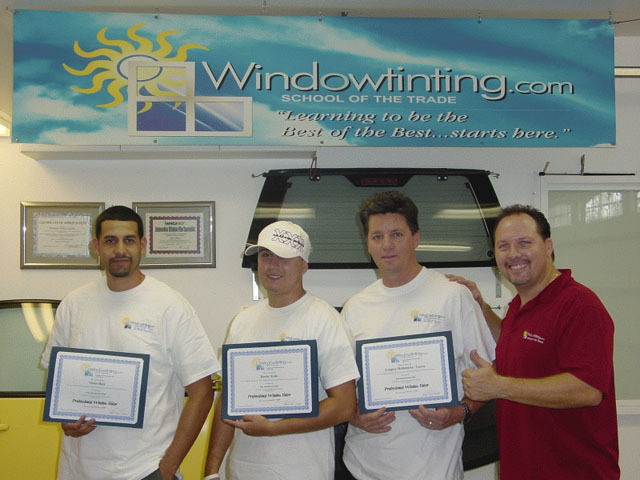 I'll spread the word down in Miami and tell anybody interested in Windowtinting.com to just give it a chance!"" Rob, this class was great! I loved everything about it from how you had us learn from the book to hands-on. I'm so happy I attended this class! Now I can go make more money. Thanks Rob! After receiving very little instruction from a tinter back in Australia, and being frustrated with not understanding what I was doing wrong, I found Windowtinting.com. I have come away with a sound understanding of the technical aspects of tinting. When I make a mistake now I know not only what I did but how to fix it. I highly recommend this training as it was well worth the trip to America.